Edited by: Hilke Meyer-Bahlburg, H. Ekkehard Wolff. Series founded by: Johannes Lukas †. The series was originally published by RaP Research and Progress Verlagsgesellschaft mbH Hamburg and has been continued by our publishing house. 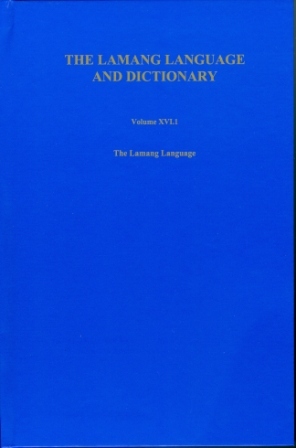 Thematically both studies of oral literature and grammatical analyses of various languages in West and East Africa are covered. Author: H. Ekkehard Wolff. Series founded by: Johannes Lukas †. Edited by: Joachim Crass, Ronny Meyer. With contributions by: Azeb Amha, Baye Yimam, Joachim Crass, Debela Goshu, Girma A. Demeke [show more…], Gideon Goldenberg, Hirut Woldemariam, Ronny Meyer, Rawda Siraj, Hans-Jürgen Sasse †, Gertrud Schneider-Blum, Rafael Suter, Yvonne Treis. Series founded by: Johannes Lukas †. Author: Joseph A. McIntyre. Series founded by: Johannes Lukas †. Author: Roland Kießling. Series founded by: Johannes Lukas †. Edited by: Philip J. Jaggar, H. Ekkehard Wolff. With contributions by: Mustapha Ahmad, Bernard Caron, Zygmunt Frajzyngier, Graham Furniss, Larry Hyman [show more…], Philip J. Jaggar, William R. Leben, Roxana Ma Newman, Nina Pawlak, Victor Porkhomovsky, Russell G. Schuh †, Henry Tourneux, H. Ekkehard Wolff, Petr Zima. Series founded by: Johannes Lukas †. Compiled by: H. Ekkehard Wolff. Edited by: H. Ekkehard Wolff. In collaboration with: Eleonore Adwiraah, Alhaji Abdullahi Ndaghra. Series founded by: Johannes Lukas †.